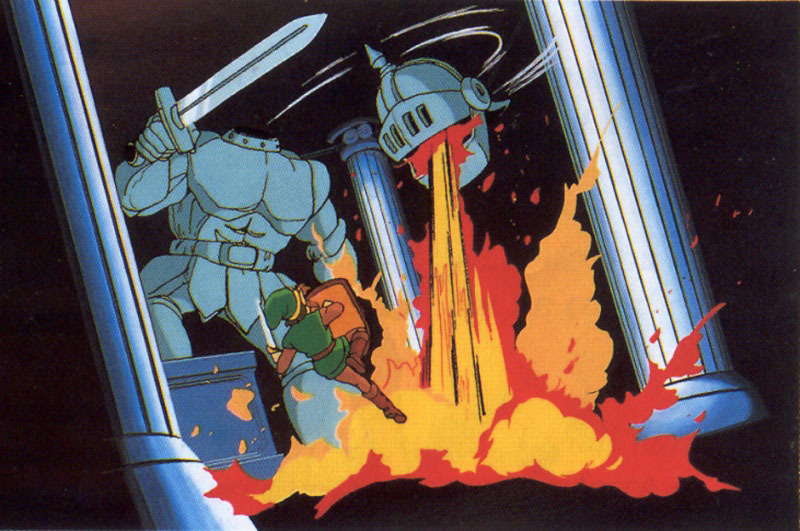 Helmethead is the boss of the second dungeon in The Legend of Zelda: The Adventure of Link (1987) . 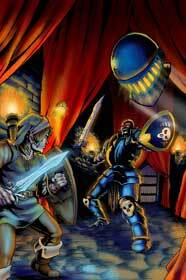 Helmethead did not appear again in one of the later Zelda games. He wears two helmets that are both floating and attacking Link. His weak point is his head. Helmethead appeared also in the “Having a Ball” episode of the Captain N cartoon series. In the Official Nintendo Player’s Guide he is called Jermafenser. Helmethead is a part of the Link’s Blacklist Art Collaboration and was drawn one time so far.